Kitchen dish towels are basically vacation spots for the propagation of bacteria. Put it under a microscope and I’m sure you’d see a whole Club Med resort. Gross! We don’t wash our kitchen towels nearly as often as we should. 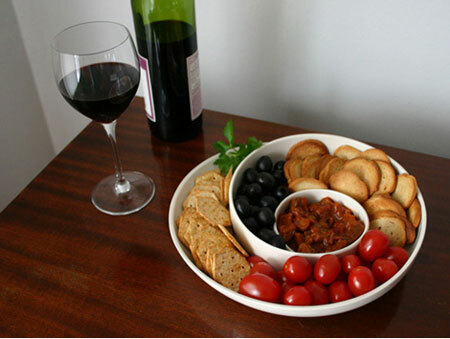 WIPE-C DISHCLOZ is a mini washer designed just for kitchen towels. Drop it in the very cool iris opening top and voila! Clean kitchen towels. Not sure if it uses water and detergent but I’m already sold on the idea. With a display larger than the device itself, and designed around ‘ease of use’ and mobility, Readius is optimised for reading for 30 hours without battery charge. The 3.5G HSDPA tri-band connection allows worldwide high speed instant updates from personally selected news sources, special services and email. The Micro SD High Capacity storage ensures easy access to other favorite information and eBooks. Readius also features audio capabilities (such as MP3) for podcasts, audio books and music. This one is still a concept design. Simple thought process and application! If pants can have a zipper to hold in the essentials then why the idea can’t be used on earphones to manage them when not in use! Zip then open when you want to use them; zip them shut when you want to store them. This is a device that will meter your water usage plus detect running, dripping & leaky pipes, without drying up your pockets! 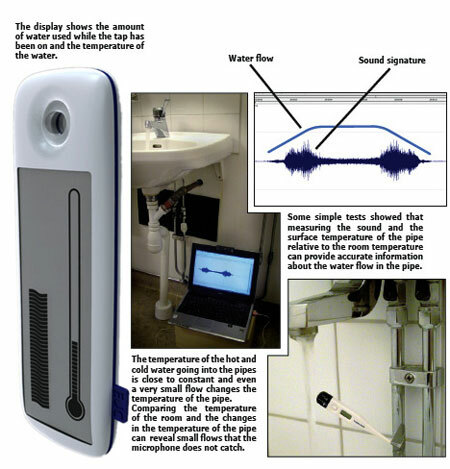 The meter clamps onto the pipe and does not interfere with the water-flow system. Easy and cost effective installation coupled with inexpensive (low cost per unit) components, makes the meter a viable device. The system automatically relays all the relevant data to the detachable display. Info displayed includes how much water you use and where are you using it, and the tap water temperature. Many of us are finicky about the source of our drinking water. Although countries like U.S. and U.K. assure safe water from the kitchen tap, not everyone consumes it. However, considering the amount of waste generated from the bottled water, efforts have to be made to adopt concepts like the Aqua Mineralis, to sustain and protect our environment. Crystallized icicles that are made from concentrated mineral water, is the healthy alternative being offered here. 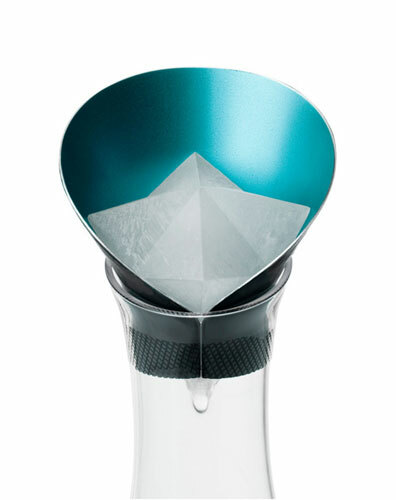 Picture yourself pouring purified tap water into the specialized decanter, with the mineral water crystal sitting atop the neck funnel. Trickle by trickle the two mix to tango at the bottom of the pitcher. 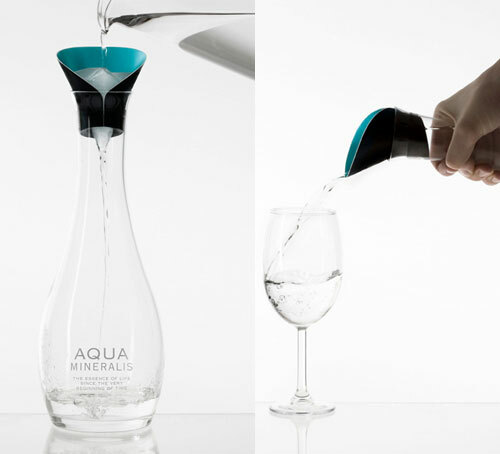 The end result: you consume one less plastic bottle and get high on H2O! 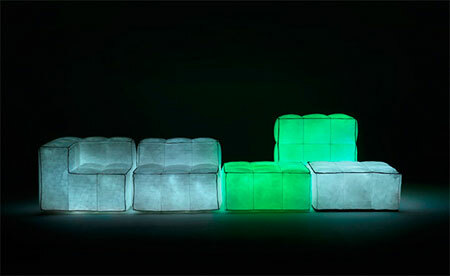 Via Lattea collection glowing air-filled sofa by Mario Bellini for Meritalia. Wow, they are beautiful in the dark! 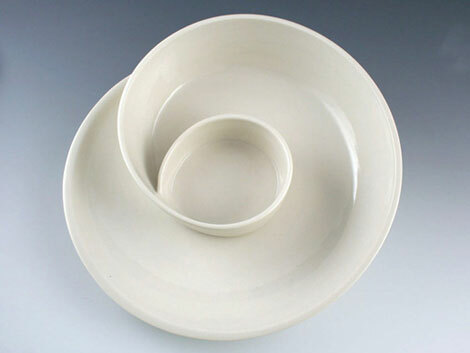 Their material is made of recycled fibres. 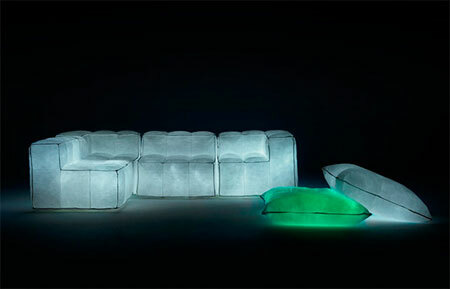 These glowing sofas really cool, I love it! 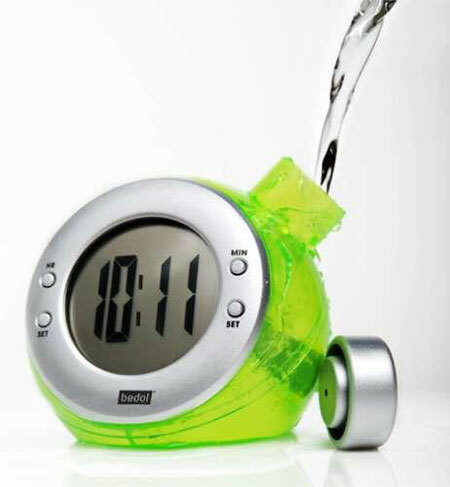 Save money on batteries and help eliminate the use of harmful chemicals with the clock that is powered by water! 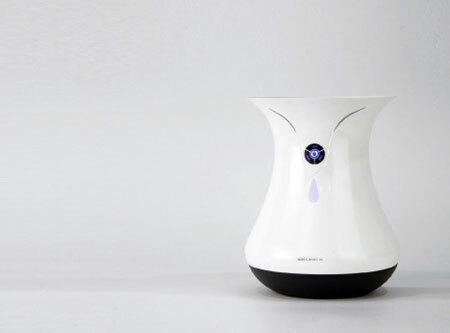 The epitome of a greener gadget and sustainable design this Eco-Friendly clock is actually powered by the water. All you have to do to make the clock run is fill its tank up with tap water and cut a lemon into quarters and squeeze some juice into the water tank. This procedure will enhance the power generated by the clock and make it work more efficiently. You need to change the water in the tank every so often and add lemon every 5 – 7 weeks!. 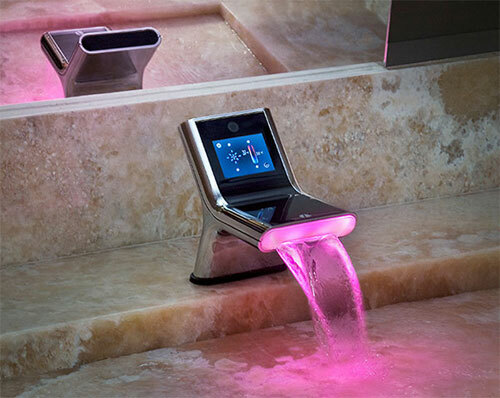 The clock has a memory function that remembers the time as you change the water. Save on the cost of buying batteries! Measuring approximately 4” high and 3.5” wide, this playful yet eco-conscious timepiece is truly what’s next in going green. Do your part and participate in the fight against global warming today! 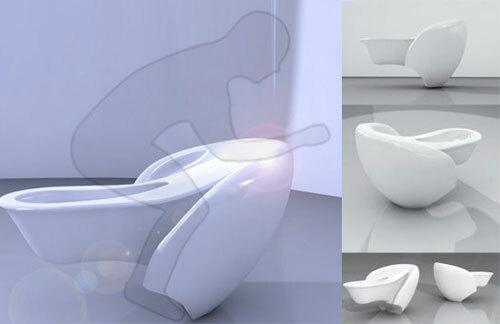 A public restroom toilet is commonly perceived as unsanitary and uncomfortable, but this innovative toilet design by Nelson Ayala looks to change the negative perceptions associated with a public restrooms by eliminating the need for intimate physical contact with the toilet. Due to the ergonomic design of the toilet, the user mounts the toilet with knees facing forward avoiding contact between the user’s skin and the toilet. The contact surface between the knee and the toilet is cushioned with foam for extreme comfort. 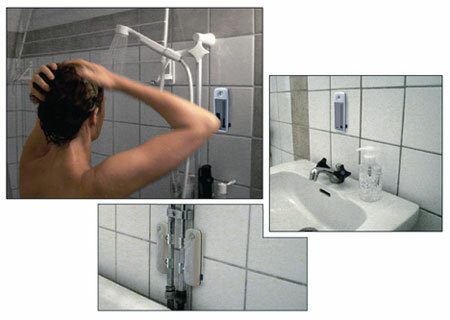 Although the toilet is intended for all users, it may be particularly beneficial for physically challenged users, as they are able to easily glide into the toilet for use. 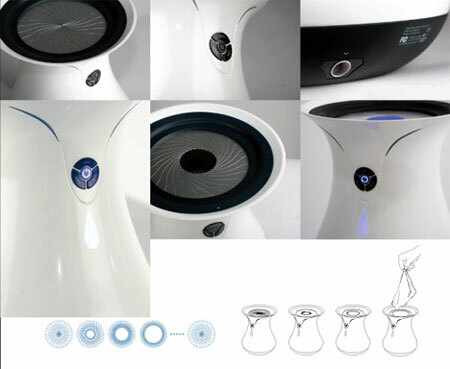 The toilet is made of white enforced ceramic and features a built-in automatic self-cleaning toilet system. It provides a hygienic, comfortable and modern solution for human waste disposal processes. Wow! you know, I don’t even care if the zip make it untangled, I would wear them just because they look AWSOME!!! 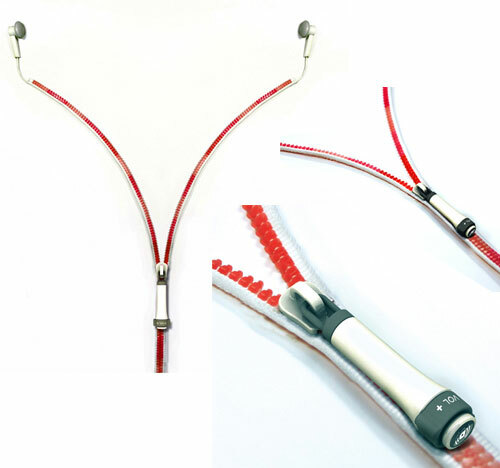 you should make the zipper in different colour combinations, but one thing I’m worried about is the quality of the earphones, is it good?